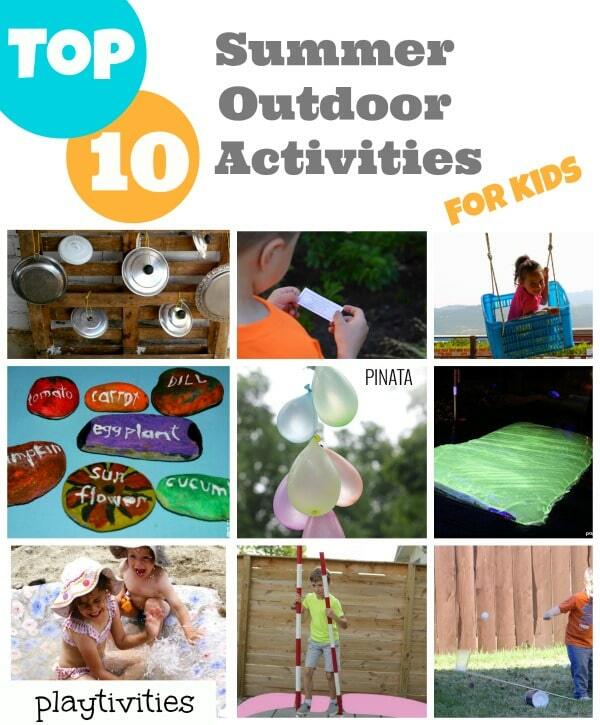 Looking for things to do with kids this summer? I got you covered. I worked hard (really hard) but I am so excited to present to you THE BEST ideas for the most fun summer ever! Good news is that almost all of these summer activities won’t cost you a dime (well, maybe just few). Yet your kids will have the greatest summer memories. Sometimes kids are bored because they are just tired of the same toys they see all day every day. Instead of going to the toy store and spending too much hard earned money, make toys yourself. It’s double fun: kids get to participate in the process and then they get to play with the toy, which is much more cooler than the bought one, because they MADE IT. 3. Make cars and a car track from rocks. Playtivities. 9. Create a foamerator. Spoonful. 11. Make Lego Calming Jar after a busy summer day. 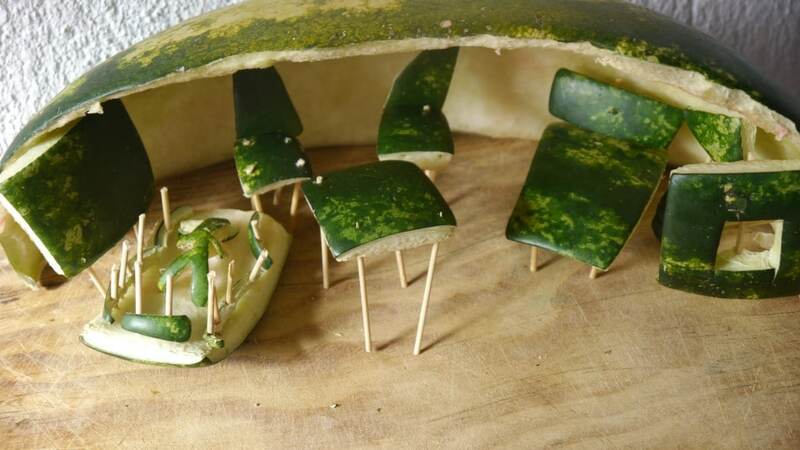 Lemon and lime adventures. It’s a must do summer activity. However it won’t be boring with all these things you can do with your kids. Summer is the perfect time for some extra family time. There are so many things to do together. 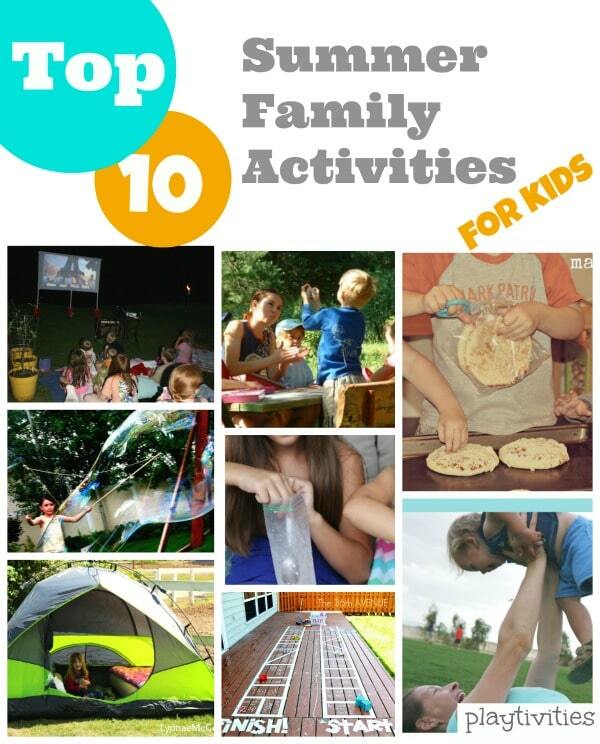 I found 10 family time activities that I want to try out this summer with my family. 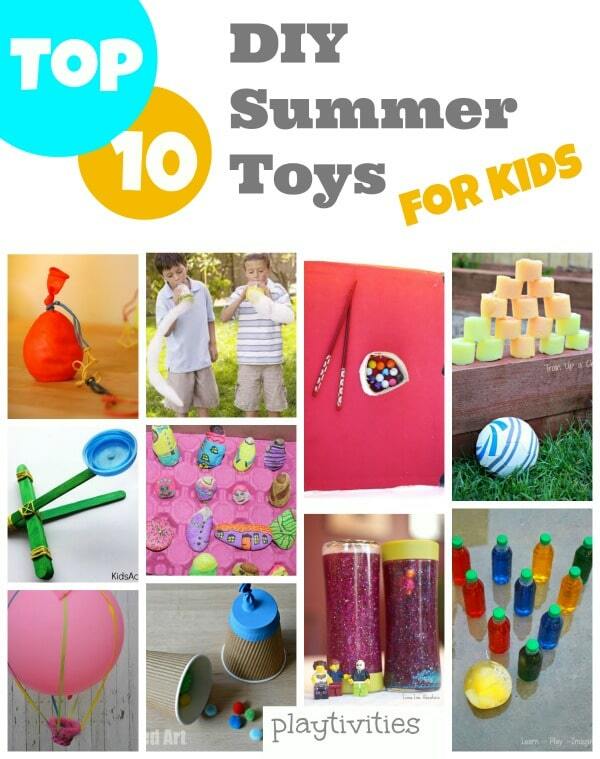 They are totally the best ideas and things to do with kids this summer. 4. Have a backyard camp. Lynnaemccoy. 6. Make a family tree. Genealogy. Love to know. 7. Make ice cream in a bag. Coffee cups and crayons. 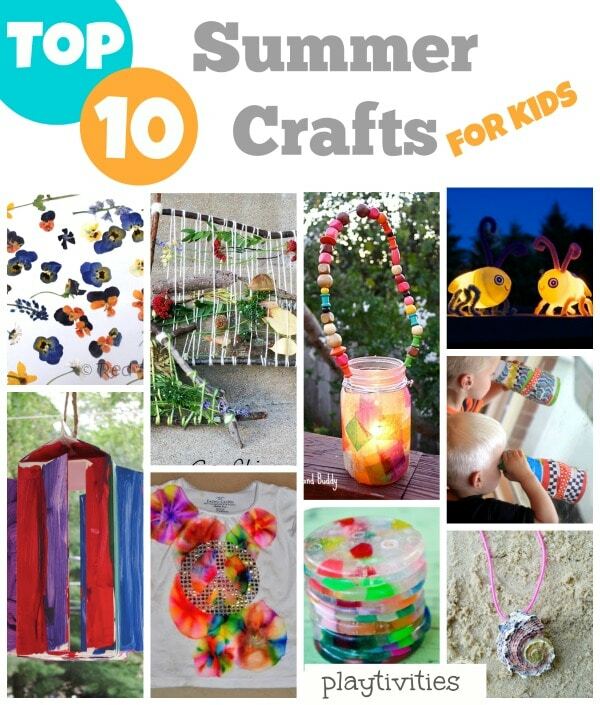 You don’t have to be a crafty person to help your child with his crafts. Take a look at these wonderful yet so simple crafts. Most of the materials you already have at home, so no need to rush to the store. 4. Outdoor Tic Tac Toe. Playtivities5. Nature weaving craft. Craftiments. Summer is perfect opportunity for kids to learn through play. It’s like they don’t even feel or suspect when they are learning something new. Use this opportunity and make their little brain work hard this summer. 1. Get into Summer Science activities. P is for preschooler. 11. 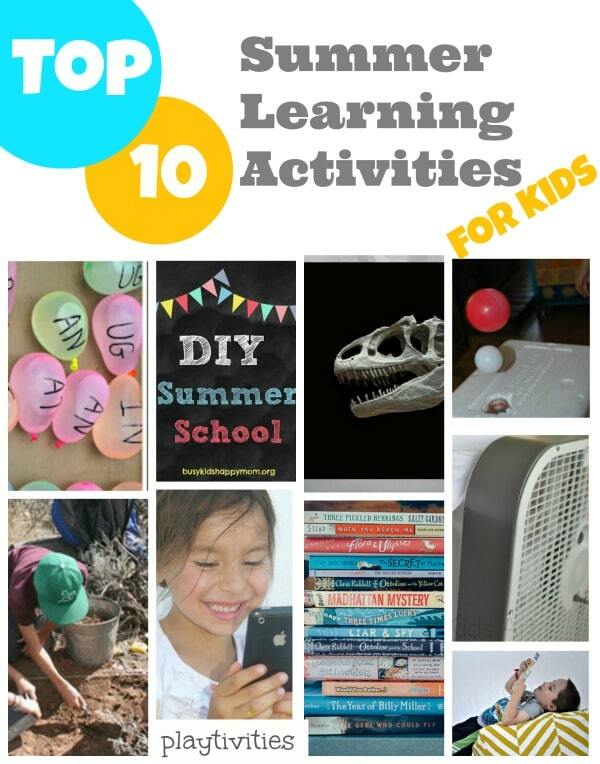 Make summer learning cool with this fun activity. Teach Mama. I hope you enjoyed my roundup. 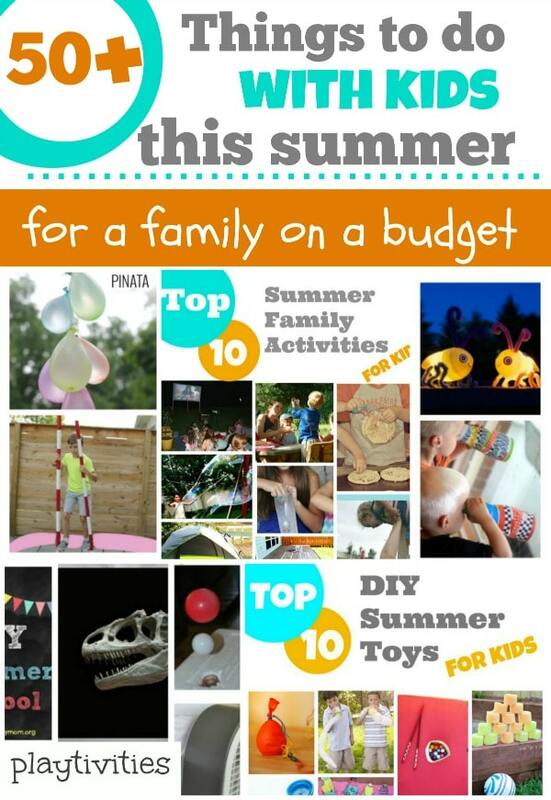 Browse my Pinterest Boards for some more Creative Activities for kids on the budget. Visit PlayTivities’s profile on Pinterest. P.S. What is your most favorite things to do with kids?